Zombies never die...and neither do succulents. 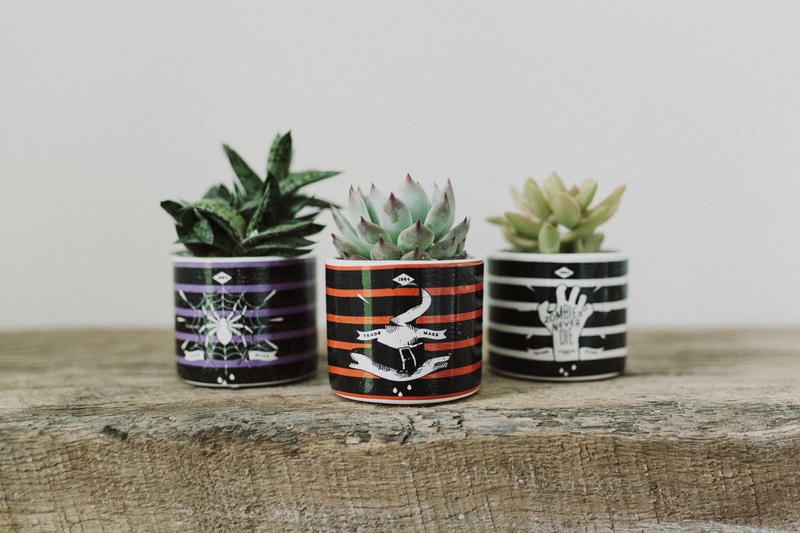 These seasonal planters scream Halloween with fun artwork relevant to the spooky season. Comes in an assortment of three Halloween themed graphics including a spider, witch, and zombie. Pairs well with the Golden Glitter Pumpkin Tilly Terrarium to complete the Halloween look.